Healthy Fats & Oils: Coconut oil, butter, lard & bacon fat, olive oil, avocados, fish oil, flaxseed, chia seed. Stay away from bad fats like vegetable oils. Read more about good fats and bad fats. Meats: All are fine. Chicken, beef, lamb, pork, venison, etc. Grass-fed is the healthiest. Fish & Seafood: All are fine. Salmon, cod, shrimp, octopus, tuna, tilapia, bass and others. Wild-caught is the healthiest. Vegetables: All non-starchy veggies are fine. Spinach, zucchini, yellow squash, broccoli, mushrooms, cucumbers, onion, garlic, cherry tomatoes, spaghetti squash, etc. Vegetables other than potatoes, corn and large tomatoes are low in carbs and should be consumed multiple times daily. Eggs: Omega-3 enriched, pasture-raised organic are best. Check out our full Egg Buying Guide! Full-fat Dairy: Cheeses, unsweetened almond milk, heavy cream, yogurt, butter. Any dairy low in carbs and high in saturated and/or monounsaturated is generally good. Nuts and Seeds (in small amounts): Almonds, walnuts, macadamia nuts, cashews, sunflower seeds. Flour Replacements: Almond flour, almond meal and coconut flour. Berries (in small amounts): Blueberries, raspberries, blackberries, strawberries, lemons, limes. Sweeteners & Sugar Alcohols: Erythritol, stevia, Truvia, xylitol. It’s recommended to consume sweeteners with minimal calories, no carbs and a low Glycemix Index (GI) because they won’t count toward your net carbs or spike your blood sugar levels. Every body is different though, so try these sweeteners and see how you feel! * Berries, nuts and seeds should be eaten in small quantities. Berries do contain sugar and can easily take you over your carb limit if you don’t track your portion sizes; however, they are packed with vitamins and can be a good treat from time to time. Nuts are calorie dense and the serving size is generally extremely small. Dark Chocolate: 70% cocoa or higher has about 10 carbs per ounce. Check out some awesome benefits and a recipe for Chocolate Truffles! Low Carb Ice Cream: Breyers CarbSmart is only 4 net carbs per 1/2 cup and tastes great! Enlightened is also a great brand that is sweetened with erythritol! Sugar-free Jello w/ Whipped Cream: Simple but sweet and keeps you low in carbs. Quest Bars: These aren’t too high in carbs but may spike blood sugar according to some people. Try putting them in a toaster oven for a few minutes on each side (until lightly browned). You’ll love them! Peanut Butter: Always good but in small doses. Buy an all-natural brand with only two ingredients: peanuts, salt. Pizza (toppings only): If you can’t live without pizza (and don’t want to make a keto pizza), just eat the toppings and sauce. Those are the best parts anyway! Or make your own Low Carb Pizza! Breaded foods: Calamari, mozzarella sticks, chicken wings and anything else breaded is okay in small doses. Need more ideas? Check out 30 Low Carb Snacks that require little to no prep time! You can have alcohol on keto! The stronger liquors are 0 carbs. They will add to your caloric intake but keep your carb count low. Below is a list of liquors and lower carb beers and wines for easy reference when picking your poison! 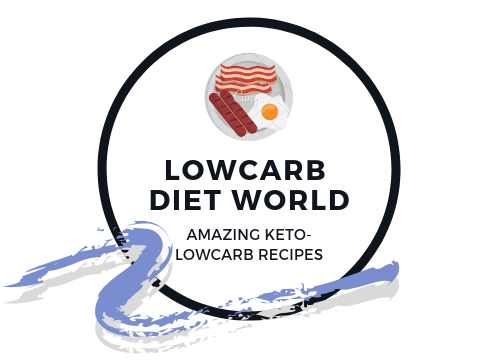 Check out our full Guide to Keto Alcohol to learn how and why alcohol affects us and more so on a low carb diet! Regardless of the reason you switched to a low carb diet, it’s important to be mindful of your daily macros and caloric intake. Watch alcohol intake because it is additional, and empty, calories and will hinder you reaching your goals. Alcohol metabolization stalls fat burning until it’s out of your system. Something we expand on further in our Guide to Keto Alcohol. Being healthy is all about getting the right nutrients and vitamins from your food so always include variety in your diet. Have plenty of meat (or fish), dairy and veggies on a daily basis based on this low carb food list. Use coconut oil and olive oil when you cook and in your salads (respectively) and have a handful of nuts or berries from time to time. Got any more questions or thought of something we missed? Let us know in the comments below!